The 30-year-old is likely to complete a move to Turkey, subject to passing a medical. Besiktas have agreed a three-year contract with former Rangers goalkeeper Allan McGregor. STV understands the 30-year-old will complete his move to Turkey subject to passing a medical with the club, before heading to Austria to join his new team-mates at a pre-season training camp. Besiktas opened initial talks with the 30-year-old last week, as revealed by STV, as they attempted to land both McGregor and his ex-team-mate Steven Davis. Davis instead elected to head for Southampton but the Black Eagles have been successful in convincing the Scotland number one to head to Istanbul. Both players left Rangers after their contracts were transferred to Charles Green’s new company, activating their rights under TUPE regulations to terminate their deals ahead of schedule. McGregor's move will also be subject to Besiktas receiving international clearance to complete the signing. The Scottish FA have so far refused to give their approval for the transfers of a number of other former Rangers players because Green has challenged their right to walk away. Besiktas, who finished fourth in the Turkish top flight last season, are banned from European competition for the 2012/13 season. The club lost an appeal to the Court of Arbitration for Sport, having been deemed by UEFA to have breached club licensing regulations for failing to meet payments due for transfer fees, wages and taxes by March 2011. 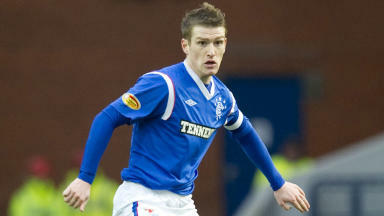 McGregor made 275 appearances for Rangers, having joined the club as a youth player in 1998. He has been capped 21 times by Scotland and is currently Craig Levein’s first choice goalkeeper.